Well, Gov. Christie was slow, but he did the right thing in the end. Now, can we get the moron prosecutor in her case, John McClain,fired? Gov. 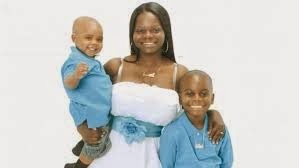 Chris Christie, R-N.J., has pardoned Shaneen Allen, the Philadelphia mother of two who was arrested in 2013 after she accidentally carried her legally licensed firearm into New Jersey. I, Chris Christie, governor of the State of New Jersey, by virtue of the authority conferred upon me by the Constitution of the State of New Jersey and the statutes of the state, do hereby grant Shaneen Denise Allen, a full and free pardon for all criminal charges and indictments arising from the arrest occurring October 1, 2013 to include the aforesaid crimes, and this order is applicable solely to said criminal charges and indictments, and to no other. If Christie was a real conservative, he would seriously work to change NJ's extreme gun control laws.